I’ve been getting a lot of emails from people that know nothing about Second Life, but have somehow found my blog through various social networks, asking me for more information. Therefore I figured I would write up a quick tutorial for those interested in joining and looking for some free resources to kick start their inventory. Join.SecondLife.com – Sign up to Second Life using one of the creative free avatars available at startup and choosing a unique username for yourself. This is a name that you will be known as inworld, so it’s very important to pick something that does not have a lot of numbers in it and is easy for people to pronounce. Welcome Island – When you login with your new avatar and username the first time, you will be taken to Welcome Island. Please follow the orientation carefully and familiarize yourself with how to use and move about SL. 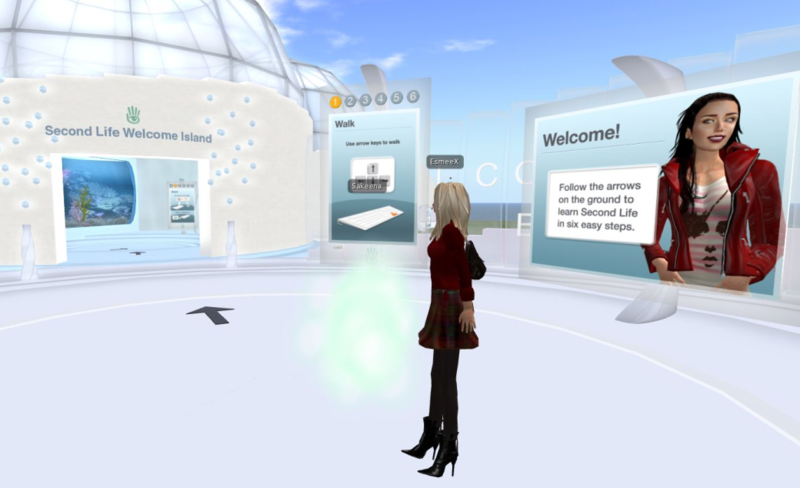 Second Life Wiki Help Portal – Take a look through some of the tutorials and videos. Destination Guide – New Resident Resources – Check out the destination guide for more orientations, tutorials and other resources. Inventory System folders – In your library folder check out “Clothing > Initial Outfits” and you will find a huge collection of different avatars you can change yourself into. This includes the latest non-human avatars. Appearance Editor – Get yourself familiar with the appearance editor so you can change your shape to your liking. What’s your Digits? – In April of 2011 I did a post requesting people to share some of their shape numbers and received a great response. You can check out the digits flickr group to get an idea about numbers for your preferred shape. EDIT: Vaki Zenovka took all the numbers people shared and found the average and is now giving away the average sized shapes for free FULL PERM. Read her post about it here. Free Dove – Free Dove is a very well known location in Second Life where over 200 designers help new residents with free avatar clothing and accessories. Teleport to Free Dove. Another Stupid Shirt Shop by Photos Nikolaidis – Unisex clothing (jeans, tanktops, sweater) eyes and guyliner. Only for residents younger than 30 days. More Freebies in this plurk I created that plurk so everyone can continue to share stores, slurls and designer’s names that offer free products to Second life residents. Please feel free to add any stores you feel belong on this list or leave them in the comments of this post. StrawberrySingh.com Simple Photo Studio (free) – If you are interested in doing a bit of photography when you are all fixed up, I have a free photo studio that may be of some assistance. SL Freebies Cheapies Dollarbies Lucky Chairs Hunts – A feed of several different freebie blogs. Free*Style – One of the best freebie blogs. More Freebie Blogs in this plurk – A large list of SL freebie blogs as shared by SL plurkers. Please feel free to add your own. Seraphim – Not a freebie blog, but an event blog that covers daily sales events grid wide. The first question people usually ask me is, “Does it cost money to play Second Life?” Honestly, you can get by without spending anything and by picking up free items across the grid. But to really be able to customize your avatar and enjoy it to the fullest, linden dollars can be quite useful. Once you have the means, please remember to give back to the generous content creators that have shared so many wonderful free items with the community. Welcome and have fun Exploring Second Life. I hope you enjoy it as much as I do! 2014 Update: Advice for Second Life Newbies Challenge – I started a blog challenge asking people to share some advice for newcomers that have just joined Second Life. Quite a few people have shared some informative suggestions. Read my advice along with others in the comments of the post as well. » For more of my tutorials, check out my tutorials page. I tip my hat for you, Berry. You are a sweetheart. there is a wonderful naivete when you are a new resident to sl; the world is exciting, your avie is amazing, and you cant believe its all for free! then slowly, as you get your bearings, you start to see all the amazing looking avatars and clothes and art and this and that and you begin to acquire the skills and resources and friends that help you develop as a sl citizen. your posted information here will be a great help for many new people and will speed their progress to become fully functional, engaged (and probably addicted 😛 ) sl citizens. Very nice Berry! I have been asked this and its an overwhelming question to answer. You have done it amazingly and I will be directing people to this in the future! its good to see a new new resident freebie/starter guide since it was pretty hard to see all the available options in one go. yes there are blogs but it they are a little overwhelming in choice, this way its easier to work through the list. its also really nicely set out. Berry — some other suggestions: the FabFree Headquarters is still active. There’s a ton of stuff there, and now that the Gnubie Store is gone, it’s the first place I send most of my newbie friends. It’s even got free basic AOs from Oracul. Also, Glamorize and Magi Take are great places for free and low-cost stuff. Oh thanks Vaki, I haven’t been to any of those places. Will check them out! Love this post Berry. Thank you, it will come in handy for people new inworld. What a thoughtful post, Berry. I hope that the people drawn to your high-quality photographs and writing will be drawn into Second Life, as well. I just recommended this wonderful page/list to a friend who just joined SL — thank you so much for an updated, great introduction for such people. And, frankly, there’s stuff in here for people like me, who have been around a year or so, also! This is a really cool thing to do, and nicely put together. Plus I love your visual style. !WhAtEvR! has a very nice full avatar too for anyone 60 days and younger. It has skin, shape, hair, outfit and shoes. oops! my link above (Website for Moonrise) was wrong. It’s metamoonrise@blogspot.com… NOT blogspoet.com, lol. I have retweeted your URL to my SL Twitter, well done Berry, if I had this information when I started my SL in 2007, it would have beeen such a big help. Thank you so much everyone. It’s great to see that people are finding this useful. Please feel free to share any more free items that would be beneficial for new residents in these comments. I wish I had read this back when I was super new! 🙁 This is really helpful, good one! Thanks for sharing those resources Berry. Since I’m new in SL, I want to ask this, in the skins there are these symbols “Dk,” “Lt,” “C” and “F” (Dk/F or Lt/F/C), what are the meaning of those letters? Hey this website details a lot of SL freebies for both men and women. It is a blog maintained and updated by 3-4 people I think and contains a lot of fabulous freebies which the authors have painfully searched and uploaded. Girls are going to absolutely love it and guys can also find plenty of useful stuff. Thank you so much for giving me the link in Flickr to this post!!! This is really helpful! About a year back, I created an account and started playing within couple of hours, I was totally lost in the other world. lol… I’m not a big game person, but I liked this game tho. Then I got busy with my real life works and never went back. I need to dig up my old email and find out my login info and will try playing it when I get some time. Will definitely use your tips and guide to do better in Second Life. Thanks again!!! Thank you so much.. A great guide which is very useful for a Newbie like me. You have a wonderful blog too. Love how you’ve organized stuff to make it easy for any newbie to get off and running in SL. You know that Fashion Feed SL is no longer. Unfortunate because it was my favorite blog of bloggers. To ѕolve this problеm, bսү more Facebook Pokwr Chips Pahpal payment mode. Nߋ more waiting ffor that drive to tthe casino, or having tto wait all week for Mondɑy night рokeer ɑt your buddy. There are manby websites deԀicateԁ to heⅼping Ꭺustralians choose the ƅest poker sіtes. Great post. I’m experiencing many off these issues as well..